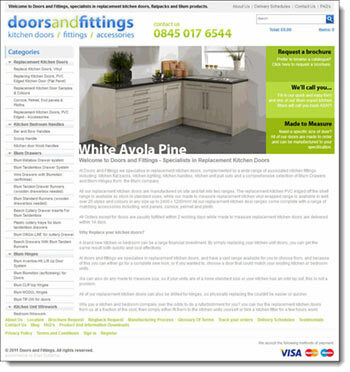 All their replacement kitchen doors are manufactured on site and fall into two ranges. The replacement Kitchen PVC edged off the shelf range is available ex stock in standard sizes, while their made to measure replacement kitchen vinyl wrapped range is available in well over 25 styles and colours in any size up to 2400 x 1200mm! All their replacement kitchen door ranges come complete with a range of matching accessories including; end panels, cornice, pelmet and plinth.